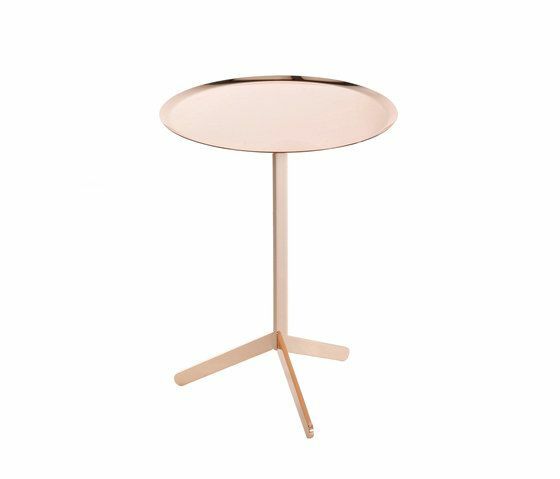 With its attractive tripod base and available on two heights, PIC can be provided with a small table top or tray top that makes it a versatile accessory in a lounge, living room and waiting room. Top: MDF with embossed coating or epoxy coated steel plate tray top. Frame: epoxy- coated steel, available in two heights. Colours: MDF with embossed coating white, black or epoxy coated steel plate tray top painted in white, black, black red, oxido red, honey yellow and pastel blue.